For Valentine's Day we reviewed Snuggle Puppy by Sandra Boynton. I have to say this is one of the cutest books about expressing your love to your little one I have read so far. Its very sweet and simple with a catchy tune. 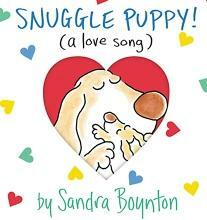 The book shows a Mama puppy telling her little pup how she feels about him in a song. I have been singing it all week to my son and in my head. Its so very cute. Part of it goes "I love what you are, I love what you do, Snuggle Puppy I love you!!" The book has you sing it low then shout it as loud as you can. I simply adore it! My little guy laughs when I sing it really loud, I think partly because I act out part of it by putting my hand on my heart when I say "love" and pointing to him when I say "you". Just last night I sang it to him as I rocked him to sleep. 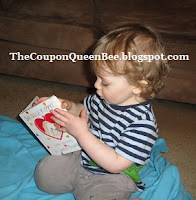 This book is perfect for Valentine's Day for the little one you love in your life. 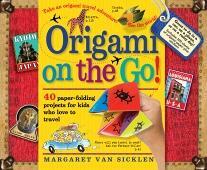 The other book we reviewed is Origami On The Go! I feel like this year paper is going to be a crafty low tech type of fun for families. The book comes with papers to make the animals and objects. The papers have really nice print on them. Some are giraffe pattern, peacock feathers and solid colors. It also included stickers for eyes and mouths. The fun thing is once you learn to make the project you can use just about any paper you find. The dollar store often times has construction paper that you can use and with crayons you can draw on funny faces or other details. I had a blast making the fortune teller. I remember making them as a kid and playing with them. I put sweet sayings in it like "Love you", "Your so handsome" and "Your so smart" that way I could play it with my little guy. We took this book in the car so we don't have pictures but I must say it came in handy. We were at the doctors office for a long wait and my son became very irritated. I took out the book picked a project and he quickly was distracted by me folding the paper and then showing him the character I had made. I made him the Greek Fish and pretended it was swimming around him. He giggled then grabbed it and kinda of smashed it. That seems to be his form of joy, to smash the things I make, its fine with me because its just paper! For our Valentine's Day event Workman Publishing has offered one lucky reader one copy of Snuggle Puppy and one copy of Origami on the Go! *Limited to US residents; 18 years old and above. Giveaway starts February, 3 2011 and ends on February 13, 2011 at midnight PST. Winner will be emailed and has 48 hours to respond before another winner is selected. I was not paid for this giveaway or post. I was sent a free copy of both the books mentioned in the post from the publisher for my review. I liked workman publishing on FB. I would like to get A 1000 places to see before you die. Added you as friend on FB. I follow workman publishing on twitter. I would like to have A CHILD'S INTRODUCTION TO GREEK MYTHOLOGY. I LIKE Workman Publishing on Facebook. I would also like the book A Celebration Of Motherhood. 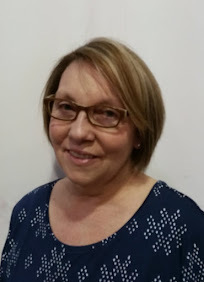 I liked Workman Publishing on Facebook @airplanesanddragonflies. I have a friend whose adopted son has really bad ADHD, and doing Origami of any type really helps him to focus, and I love this 11 year old little boy too! I like workman on Fb! I would like the book Cake Mix Doctor! I love to bake! I like workman publishing on fb - emillie rose. 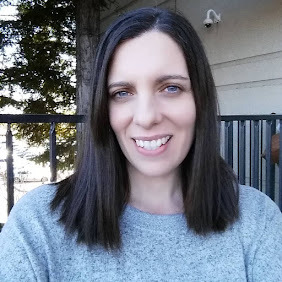 I added you as a friend on Facebook - emillie rose. I would choose the football onesie! I would like to have the bath time book too. I follow workman publishing on twitter - hisprincess886. I entered the bambino balls giveaway. "Like" Workman Publishing on FB! My toddler is a big Sanra Boynton fan (I am, too!) I'd love to add "Amazing Cows" to our library. I'd LOVE to have ALL of the "Child's Introduction to..." books. My first pick of the series would be the environment an my second would be poetry.